Today the lovely, and very funny Candy Harper has stopped by to give some writing tips. 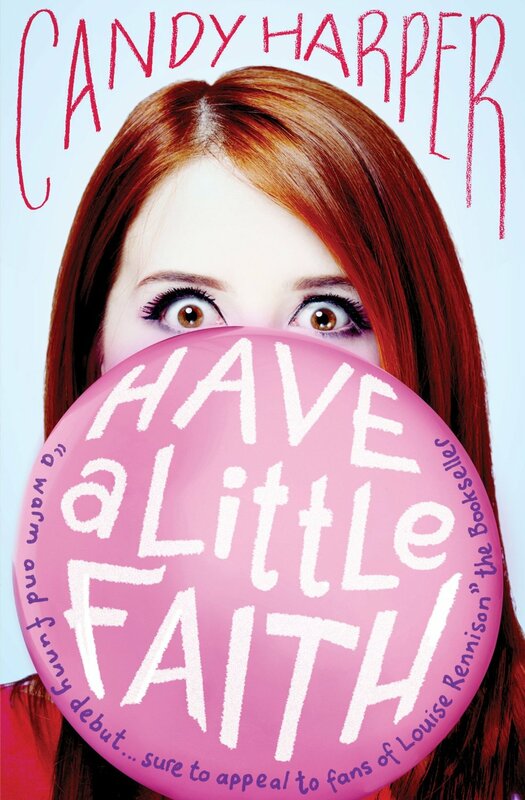 Her new book, Have a Little Faith has just been released so if you haven't grabbed yourself a copy do so now! It is so funny! There might be someone who can make lying around watching Homes Under the Hammer whilst picking the dead skin off your feet sound interesting, but if it’s not you, then you’re going to have to be careful about selecting the parts of your life that will make a good story. As a rule of thumb, anything that made you dribble (through laughing, crying, lust or rage) is a good place to start. Brown Owl told me that liars never prosper. She lied. Firstly, because I made a fair few quid by selling those ‘diamond’ bracelets to the other Brownies and secondly, because real life is better if you tweak it a bit. So feel free to make things funnier, more exciting and generally more compelling by adding whatever you think is necessary to the truth. Make people you know do stuff they’ve never done. I don’t mean you should get your granny drunk and take her to the dog racing (although, let’s not rule things out until we’ve been expressly forbidden to do them). I mean that if you base your characters very loosely on people you know well, then you’ll have a good idea of how they’ll react to the situations in your story, no matter how crazy those situations might be. Sometimes it’s easier to create a convincingly well-rounded character if you’ve got a convincingly well-rounded real person in your head. However, take note of the next tip . . .
People are funny about you using them in your book. First, they say how cool it would be, and then when you include that hilarious little story about their constipation, or mention how they ruined your childhood, they suddenly change their minds. If you’re going to base characters on people you actually know then it might be an idea to change their looks and maybe even their gender. Definitely get rid of that distinctive Alvin and the Chipmunks tattoo. And always change the name. Unless of course they happen to be called Mrs Barnfield and they once robbed you of your rightful role as the fairy godmother just because ‘Fairies are supposed to be kind’ and Mrs Barnfield couldn’t accept that maybe karate chopping Prince Charming was the greatest kindness any fairy godmother could do Cinderella. In that case, Mrs BARNFIELD will just have to accept that having her name and her crimes against children in print is the price she pays for being a dream-smashing old witch. Clever old you! You’ve been preparing to be a writer your whole life. Not only have you been doing stuff that might be book-fodder and you’ve also been feeling stuff. You might find yourself writing about something that you’ve never done, like jumping out of a plane, but you can probably remember what it was like the first time you jumped into a swimming pool. Use the emotions you have experienced to help bring life to your story. It’s hard to write about bad things that have happened to you. People who use their own difficult experiences to inform their writing often create deeply moving stories. And sometimes they end up crying so much that they just make papier mache. Your life is one of the greatest resources you have as a writer, but just be aware of what delving into your own history can stir up. I was shaken to the core when I uncovered repressed memories of wearing a puff-ball skirt. I’m slowly rebuilding my life. Check back tomorrow for my review of Have a Little Faith.